Create memories that last a lifetime! 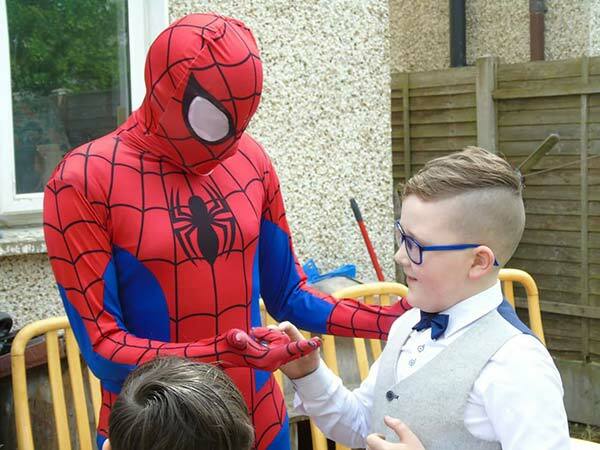 Whether it’s planning a birthday celebration for your birthday boy (big or small), giving your fiance the wedding guest he’ll never forget or creating excitement at a corporate event, you can rely on our team of Superheroes to bring that element of surprise and pure joy creating memories that last a lifetime. 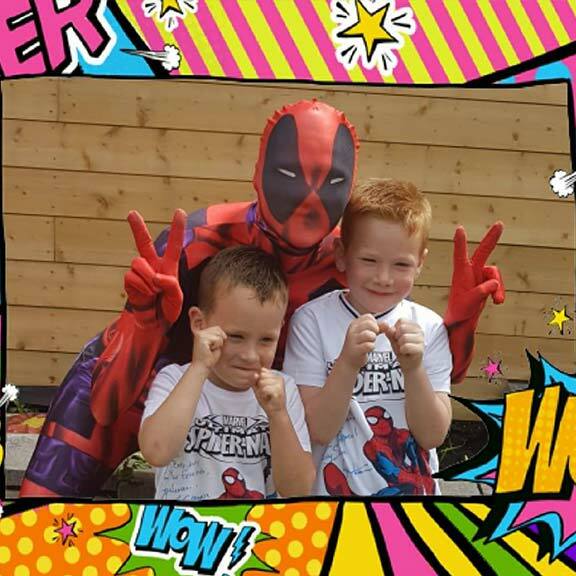 We offer superhero character visits for all budgets that are guaranteed to make your next event a memorable one! 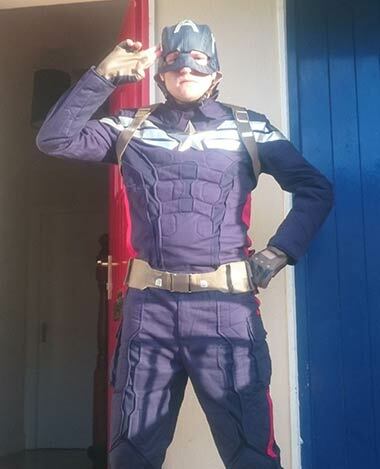 All of our working actors are 100% Garda vetted. 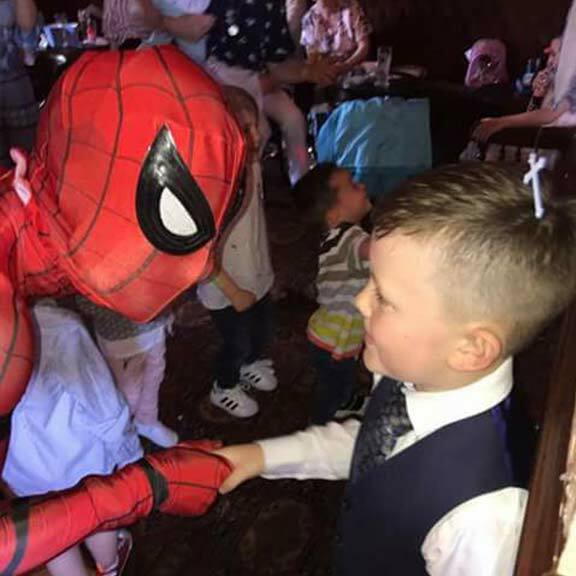 In our pursuit to deliver the best quality entertainment, we recruit and train the best professional talent, use theatrical quality costumes and offer a patented, structured Superhero Party to deliver an unmatched entertainment experience. 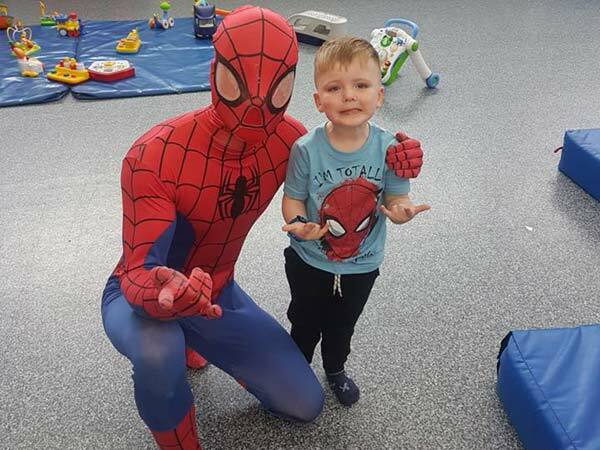 Your little superhero and their friends will love the excitement when their favourite on-screen character arrives at the house and rings the doorbell! 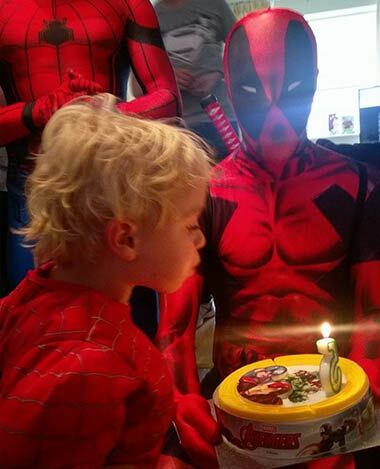 All packages include greeting the birthday child and guests with a Super Hello, games, and more! We cater each party to YOU since every party and birthday boy is different. We understand that, and want to make each visit a personal one that you’ll NEVER FORGET! 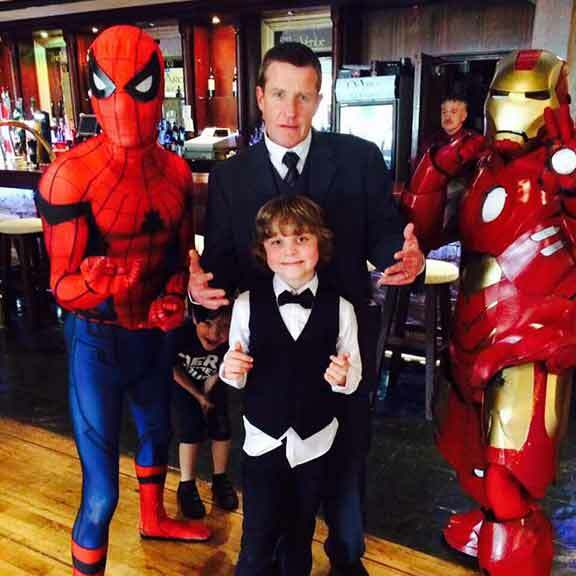 Call us today on 0876229562 for more information about our special superheros for your celebration! I was ignorant enough not knowing who I was booking only my boys said you were cool and could they watch your movie - however I watched your movie only THAT evening for the frist time after I said you were crazy fun and hey presto NO THEY CAN NOT WATCH YOUR MOVIE EVER NEVER lmao. But you were amazing and captured his personality to a T. The smiles on my 2 kids faces and everyone else to. Love love love it. Down side to your amazing show, this is not a criticism but maybe something you can add to your cool show. 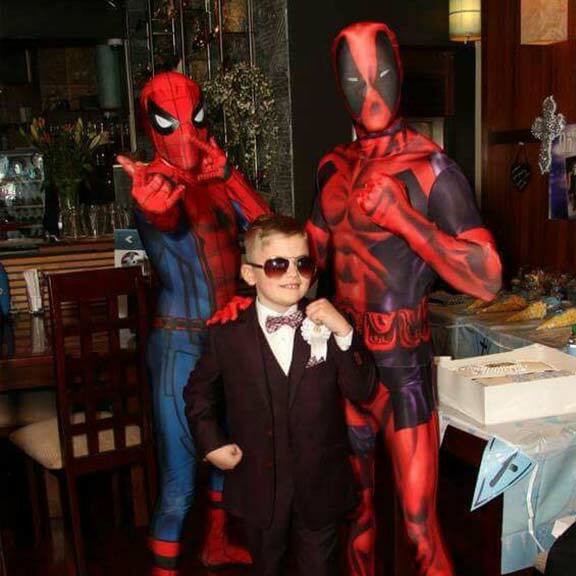 My boys, when setting to bed asked why didn't deadpool show his cool weapons or cool moves he only showed his funny moves (for a Mammy it was fine) Maybe this is something you could add to your crazy fun loving act. 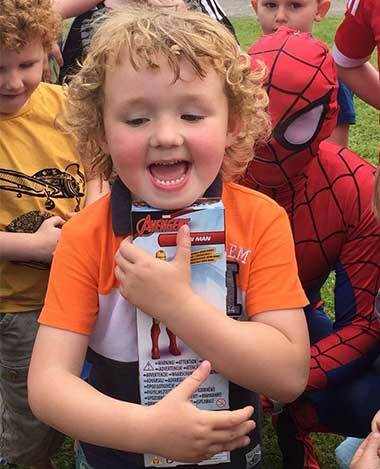 And may I add last year 2016 for my boys birthday 4 and 5 I forgot to add a review we got spider man and IronMan all I will say is totally Amazed by 4 and 5 year olds. They asked all year about you and the reasons I wanted to book you again. 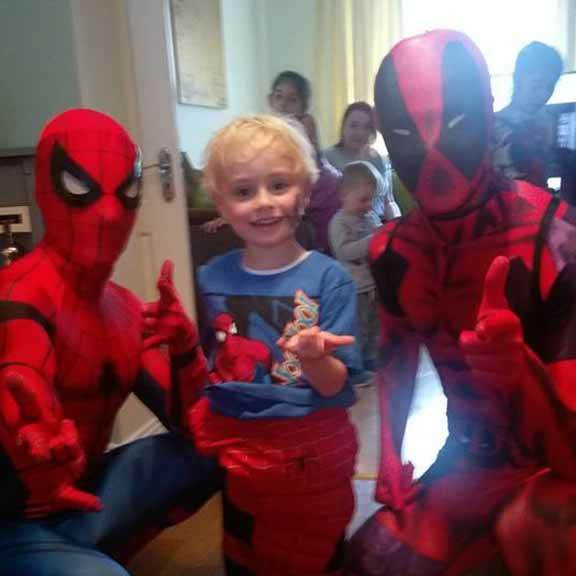 When they were naughty I would say "boys your working to be on the superhero team..........."
I cant added photos for other kids smiles from party but I will say is every kid had a smile from ear to ear for the hour only wish it was longer. 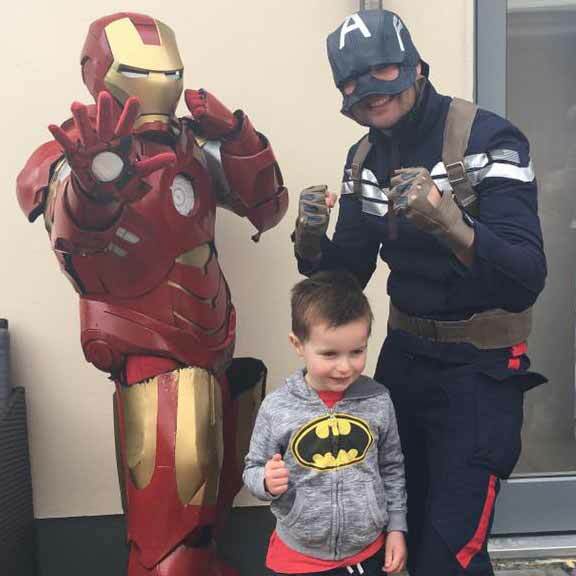 Thanks so much to ironman and captain America for the amazing show they put on for my sons party today ! Everyone had an amazing time! 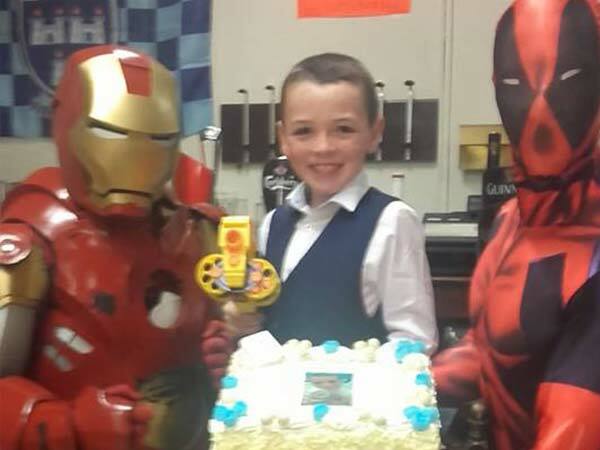 My son is in shock they came to his party and they were just fantastic! To anyone wondering whether to book them - do!! You won't regret it they are brilliant! Thanks so much again to everyone involved, a pleasure to deal with from start to finish! 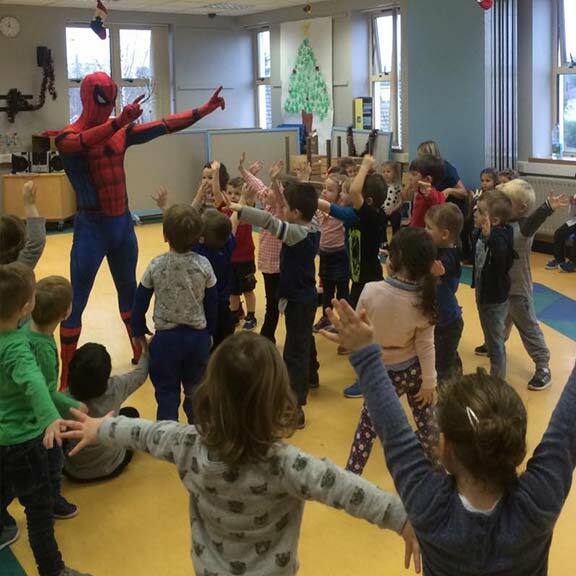 © 2018 Superhero Party. All Rights Reserved.